Robert Caro has devoted a lifetime to analyzing political power in lives of Robert Morris and Lyndon B. Johnson. Here, in his own voice, he shares some of those key moments. Caro gives us a glimpse into the factors that motivated him to purse Morris and Johnson. He lets us see some of his research and writing methodology. And he provides his unique perspective on political power, how it is employed for good and ill, and consequences both intended and unintended that occur in its wake. 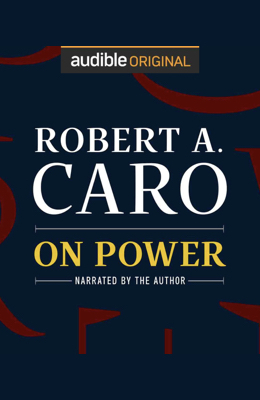 "On Power" is fascinating listening (and learning).